The wait is over! These 12" x 12" pocket-style page protectors protect and store all your photos, journaling cards and memorabilia. These, unlike most pocket page protectors are are also "universal", which means they are compatible with all popular 3-ring album brands including American Crafts, We R Memory Keepers, Simple Stories, Project Life, Keeping Memories Alive (KMA), Scrapbook.com, Umbrella Crafts, Bo Bunny and more! These high quality page protectors easily transfer between albums of different brands so there is no need to buy new page protectors when you want to reorganize or update your albums. I like the size options these pockets gave me. I'm using the long strip on the left side as my title space. I like these universal page protector's, not to mention the price. More bang for the Buck, I was able to buy more for so much less than other brands. I'll continue to buy this product, From now on. I wanted a 12x12 page protector that would hold both vertical and horizontal photos and they are getting hard to find lately. I was a bit nervous to try these because they are so cheap and I've had trouble in the past with photos falling out of flimsy protectors. However the quality of these is great, especially considering the price, and I haven't had any problems with them. 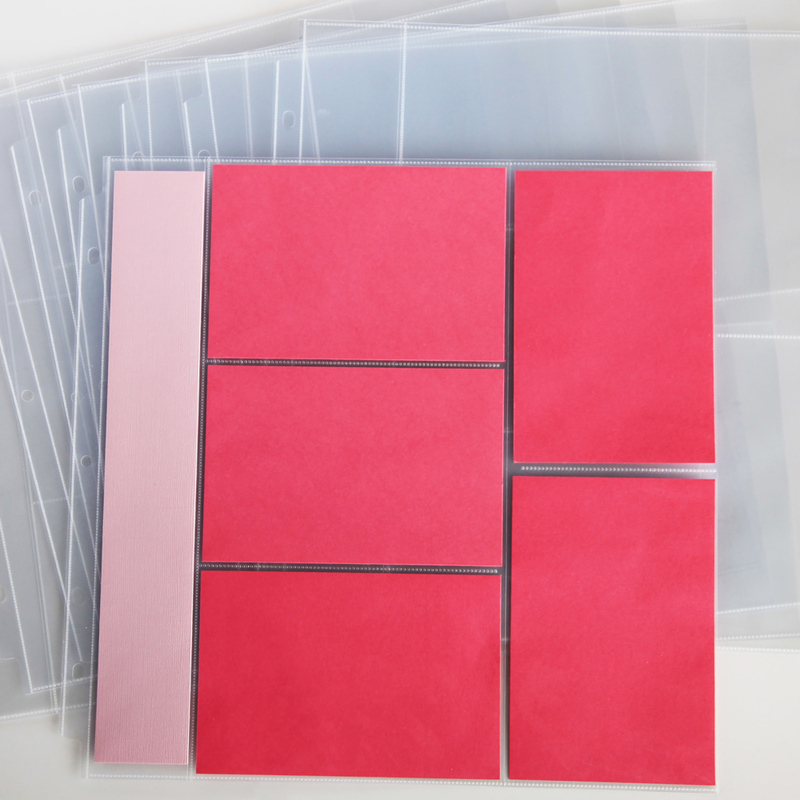 I now use Universal page protectors for all my photo scrapbooking, you can't beat the price/quality value. I bought 3 or 4 different packages of these with different configurations. I use them in my We R Memory Keepers 12x12 D-Ring Binders and they work perfectly. I am very happy with my purchase. 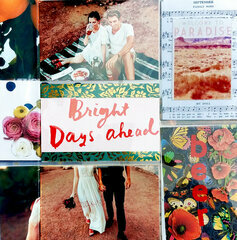 I like these for my 12 X 12 album. I have seen others without the left side 2X12 border and they don’t fit well with the other pages. I enjoy making albums with pocket pages and have several sets of page protectors with various configurations. This one is nice because it allows both vertical and horizontal 4x6 photos, plus a 2" strip down the side. There used to be protectors with a 6x12 strip down the side (with also the 4x6 horizontal slots), and I wish they'd be made again. Do the binding holes adapt to add them to a Creative Memories album? By: mlmat (11-Mar-19) Helpful Question? Yes | No Thank you! Report Inappropriate This question has been reported. Thank you! 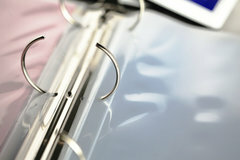 The Universal Page Protectors do not line up with a strap-hinged album, only the 3-ring binder style. By: Scrapbook.com (11-Mar-19) Helpful Answer? Yes | No Thank you! Report Inappropriate This Answer has been reported. Thank you! Will the pages fit in any 3 ring binder? By: hklotzbach (06-Mar-19) Helpful Question? Yes | No Thank you! Report Inappropriate This question has been reported. Thank you! Scrapbook.com, We R Memory Keepers, American Crafts, Keeping Memories Alive (KMA), Pioneer, Simple Stories, Doodlebug, Project Life, Bo Bunny, Kaisercraft, Pebbles, Umbrella Crafts and all other 12 x 12 sized 3-Ring albums. If by chance you get them and they don't fit your album, we have a 60-day money-back guarantee. Try them risk-free. Hope that helps. By: AZAmy (07-Mar-19) Helpful Answer? Yes | No Thank you! Report Inappropriate This Answer has been reported. Thank you! Are the page protectors made in the U.S.A.? By: User (05-Jan-19) Helpful Question? Yes | No Thank you! Report Inappropriate This question has been reported. Thank you! Hello! 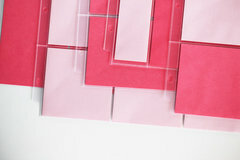 Most of our Scrapbook.com exclusive products are made here in the United States, however this is manufactured in China. Hope this helps! By: sbc-julie (10-Jan-19) Helpful Answer? Yes | No Thank you! Report Inappropriate This Answer has been reported. Thank you! No Idea. By: bjsilvers7 (08-Jan-19) Helpful Answer? Yes | No Thank you! Report Inappropriate This Answer has been reported. Thank you! I am looking for 3 vertical 4X6 and 2 horizontal 4X6 pockets with the 2X12 horizontal across the middle of the page. I haven't seen this style. Is it available? By: Mary Ann Bruns (10-Feb-18) Helpful Question? Yes | No Thank you! Report Inappropriate This question has been reported. Thank you! I don't think what you want is available. The closest I have is one that includes 3 horizontal, 2 vertical, and the 2x12 is on the left. By: kimkite (11-Feb-18) Helpful Answer? Yes | No Thank you! Report Inappropriate This Answer has been reported. Thank you! are these top or side loading? By: sstw0324 (05-Mar-17) Helpful Question? Yes | No Thank you! Report Inappropriate This question has been reported. Thank you! This particular style is side loading. Hope this helps! :) By: sbc-julie (22-Mar-19) Helpful Answer? Yes | No Thank you! Report Inappropriate This Answer has been reported. Thank you! Do these work on project life albums By: User (20-Jan-17) Helpful Question? Yes | No Thank you! Report Inappropriate This question has been reported. Thank you! Yes, they will work in the Project Life Albums. By: Scrapbook.com (11-Mar-19) Helpful Answer? Yes | No Thank you! Report Inappropriate This Answer has been reported. Thank you! These page protectors are universal so they should fit in the project life albums. By: Joanie R (20-Jan-17) Helpful Answer? Yes | No Thank you! Report Inappropriate This Answer has been reported. Thank you!